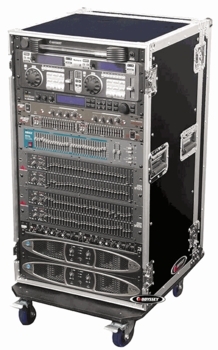 Odyssey FZAR20W Amp Rack Flight Zone w/ Wheels DJParts - All Variety of Parts that DJ Needs. These sturdy, deeper ATA Amp Racks incorporate dual rack rails (front and rear), stackable ball corners, heavy duty rubber feet, spring-loaded handles, and removable front and rear covers. 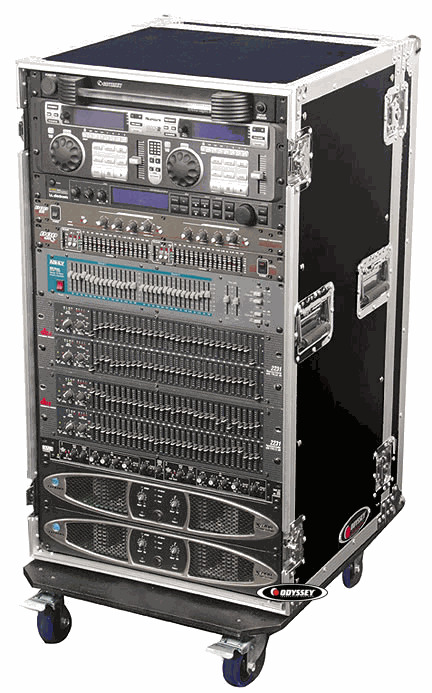 Designed to protect and transport larger amps and other standard 20" rackmount gear. Vertical rack: info coming soon..
Internal Depth (Rail to Rail): info coming soon..
Internal Depth (Rail to Cover): info coming soon..